Farmers underestimate just how good they are and how successful they can be without government support. In 2006, Chris Hausman, a fourth-generation Midwestern farmer long accustomed to depending on government support for survival, traveled across the world to witness a revolution in agriculture. It had been more than 20 years since a left-leaning government in New Zealand chose to eliminate government subsidies for farmers, and Hausman was surprised at what had transpired since. “I will tell you it was a shock to their agricultural system,” says Hausman, 58, who farms corn and soybeans on a 1,500-acre plot 150 miles south of Chicago. Hausman, like others in the industry, is careful not to equate New Zealand’s experience with what could happen in the U.S. He is thankful for federally subsidized crop insurance that his government provides. Officials predicted at the time that the sudden cutoff of government aid would cause a mass exodus of farmers walking off their land. But those who participated in this small island nation’s grand farming experiment hold it up as a valuable case study for policymakers worldwide. New Zealand’s jump to a handout-free policy for agriculture was born out of necessity. Facing a budget crisis in 1984, the incoming Labour government took the first step in implementing a long list of market reforms when it eliminated about 30 different agricultural production subsidies and export incentives. But this was no small decision. New Zealand’s economy is more dependant on agriculture than the U.S. economy is. New Zealand is a country of about 4.6 million people without much of a domestic market for products such as milk, meat, and wool. 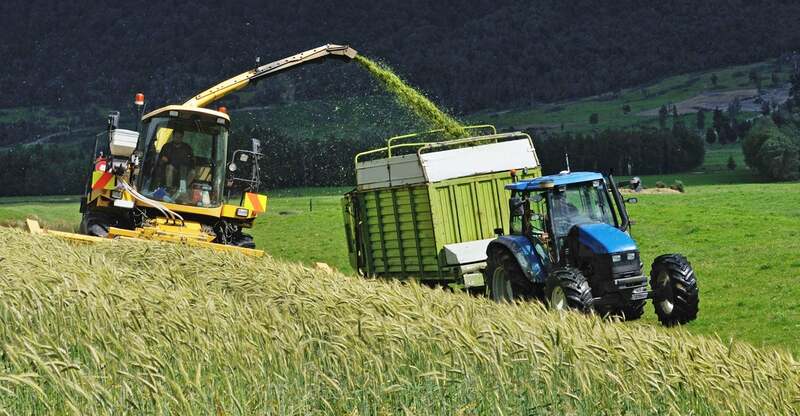 However, New Zealand produces enough food for 40 million people, Petersen says, and, unlike the U.S., exports about 90 percent of its production. Officials predicted at the time that the complete and sudden cutoff of government aid—without much of a support system to ease the transition—would cause a mass exodus of farmers walking off their land. “There was minimal financial assistance from the New Zealand government to assist farmers making the transition to an unsupported market,” says Nick Clark, general policy manager of the Federated Farmers of New Zealand. In response to emailed questions from The Daily Signal, Clark says the government provided a “exit grant” to farmers who wanted to leave their jobs, amounting to about two-thirds of their previous annual income. In addition, he says, low-income farmers were entitled to social welfare support. The government also contributed funding to a trust established to advise farmers on whether it made financial sense to stay in business. “Overall, though, there was no substantive government effort to soften the effect of change,” Clark says. By 1987, falling commodity prices and rising costs depressed incomes and exacerbated the debt problems of many farmers, who already were paying high interest rates due to inflation. New Zealand’s dairy farmers are experiencing losses lately due to low milk prices. The price of land, which had been “artificially inflated due to subsides,” Clark says, plummeted. Still, the sudden removal of government support had less impact than expected. Only about 800 farms, or about 1 percent of total farms at that time, took the exit grant, he says. Much of the dislocation happened in rural communities, some of which made sure to expose their pain to the government. Maurice McTigue, a member of New Zealand’s parliament in the 1980s, recalled in an interview with The Daily Signal that thousands of farmers protested on the capital, Wellington, cutting sheep loose on government property to make a point. The decision to embrace dramatic change was personal for McTigue and others in government. About 40 percent of the members of parliament were farmers, including himself, McTigue says. “I’ve got bruises and bumps still to show from it,” says McTigue, now vice president of outreach at the Mercatus Center at George Mason University in Arlington, Virginia, a research organization that describes itself as bridging the gap between academic ideas and real-world problems. “It’s easy to look back at it and say this was a good decision and farming benefited, but to actually live through it was a very difficult experience,” McTigue says. Farmers underestimate just how good they are, just how successful they can be without government support. The New Zealand government has encouraged innovation, enacting legislation allowing groups representing different agricultural sectors to vote every six years on whether their members want to pay a levy to fund research and development. New Zealand’s dairy farmers today produce 2,200 products from milk, compared to about 35 before the reforms, McTigue says, including antibody milk and chocolate cheese. The country also has a thriving wine industry that barely existed prior to the reforms. Despite these successes, New Zealand’s dairy industry has experienced tough times in the last three years, as farmers face persistently low milk prices. While the lessons America can learn from New Zealand are debatable, New Zealanders seem to know what they want. Petersen frequently travels the world to tell the New Zealand story—and to advocate free trade. Though he claims not to be comfortable making policy recommendations, he says he has an obligation to share his country’s successes. Josh Siegel is a news reporter and editor at The Daily Signal, where he covers foreign policy, immigration and criminal justice issues.